Deltas are of great importance to humans all over the world. Densely populated coastal areas where land arises from sea. An amazing gradient where two worlds meet and nature and humans traditionally proliferate. It is the area where one hears, smells and sees the awakening of nature between the ebb – and flood line. It is where the sailor exalts navigation to a form of art and where he falls dry with his boat to be alone and to enjoy the mind-expanding vastness. Yet these qualities increasingly disappear due to the great technical advances since the 19th century, which tried to control the marine dynamics of deltas to ensure safety of the hinterland against inundation. The Delta Works in the Netherlands embody this. The masterpiece of the Delta Works meant the construction of a national icon: the Eastern Scheldt Storm Surge Barrier in Zeeland, which does not only withstand storm surges, but even controls the tides of the sea daily in its Eastern Scheldt. However, this permeable dam has resulted in the erosion of the intertidal area (1) and subsequently in an insatiable demand of sand, which increases annually due to sea-level rise. The intertidal area will have disappeared in about 2080 as a consequence of this sand hunger (2), with major social – and ecological problems as a result. Besides sand hunger, Zeeland also suffers from space hunger. The rise of mass recreation in the past century has led to the cluttering of holiday parks in the hinterland of the delta, which destroy the lowlands and the sea in their vastness. Therefore, a holistic solution for the Zeeland delta does not only secure the intertidal area, but also encompasses the finding of a suitable place for recreation in its delta. This is achieved by means of the deconstruction of the Eastern Scheldt storm surge barrier and Grevelingendam, and using the resulting new marine dynamics (3) to promote the social – and ecological situation of the Eastern Scheldt. The new coastal defense systems (4-6) protect the hinterland from inundation, grows along with sea-level rise, and is in itself a new landscape entity of Zeeland in which the function of recreation becomes integrated into the landscape (7-11). This way Zeeland is strengthened integrally between sea and land and the Eastern Scheldt (12) is transformed from a nature – to a human reserve, where all interactions live together as an obviousness. Figure 1: The Eastern Scheldt Storm Surge Barrier caused a decrease of tidal volume and thereby shifted the marine dynamics from a sand exporting – to a sand importing system. Figure 2: As a consequence of the shift in marine dynamics the intertidal area will mostly have dissappeared in 2080. Figure 3: The Eastern Scheldt Storm Surge Barrier is deconstructed along with the Grevelingendam. The new marine dynamics are used to stimulate the social – and ecological situation of the Eastern Scheldt. 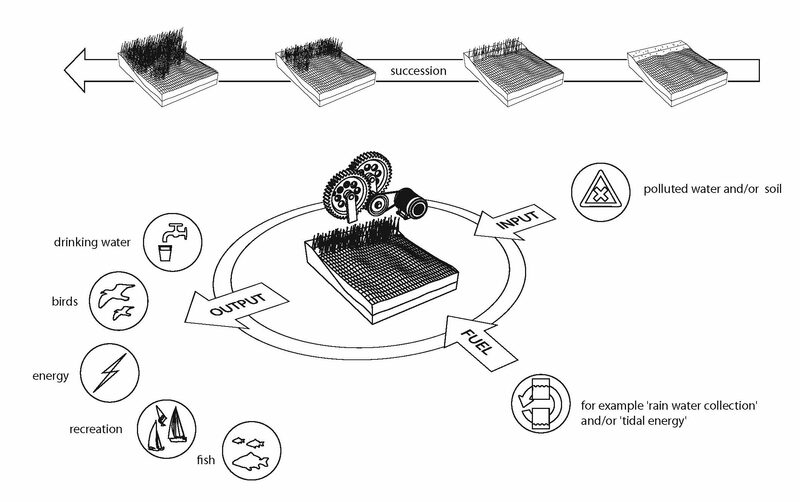 Figure 4,5,6: The new multifunctional coastal defense systems do not only answer the social – and ecological situation of the region, but also their cultural history aesthetically. Figure 8: Neeltje Jans, the terrain section of the barrier, as the symbol of the old – and the new relation between man and water. Figure 9, 10: Former parts of the barrier become breakwaters and borders to protect the new heritage and the most vulnerable shores at the mouth of the Eastern Scheldt. Figure 12 Human reserve Eastern Scheldt in which all interactions (co-)exist as an obviousness.